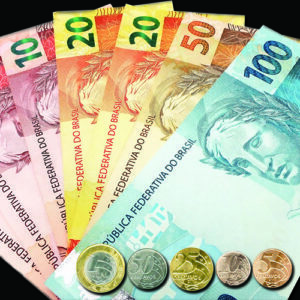 Brazilian official currency is Real (BRL or R$), with its subdivisions in centavos. There are R$ 0,05 coins (cinco centavos), R$ 0,10 coins (dez centavos), R$ 0,25 coins (vinte e cinco centavos), R$ 0,50 coins (cinquenta centavos) and R$ 1 coins (um real); and also R$ 2 (dois reais), R$ 5 bills (cinco reais), R$ 10 bills (dez reais), R$ 20 bills (vinte reais), R$ 50 bills (cinquenta reais) and R$ 100 bills (cem reais). In 2010, the banknotes of the second family of the Real were put into circulation. They have new graphic and security elements, as well as accessibility features for the visually impaired, such as the differentiated size according to their value. Gradually, they will replace the banknotes of the first family, but do not worry if you receive one of this, they are still valid. To get familiar with the characteristics of banknotes in circulation, access the website of the Central Bank. Pay attention! Do not accept bills or coins in a bad conservation state as change. In order to get information regarding conversions to foreign currencies, access here. 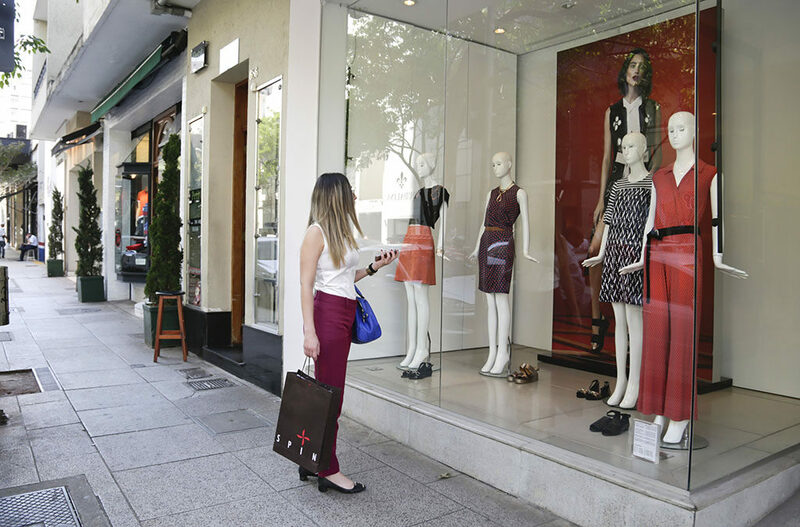 During the week, Banco do Brasil bank agencies buy and sell. At weekends, there are currency exchange offices. The largest part of the establishments accepts credit and debt cards. Traveler checks are not widely accepted; however, they can be exchanged at banks and exchange offices. For those who seek for comfort, exchange offices inside malls may be a fast and safe option. São Paulo is a metropolis that warmly welcomes everyone respecting their differences. 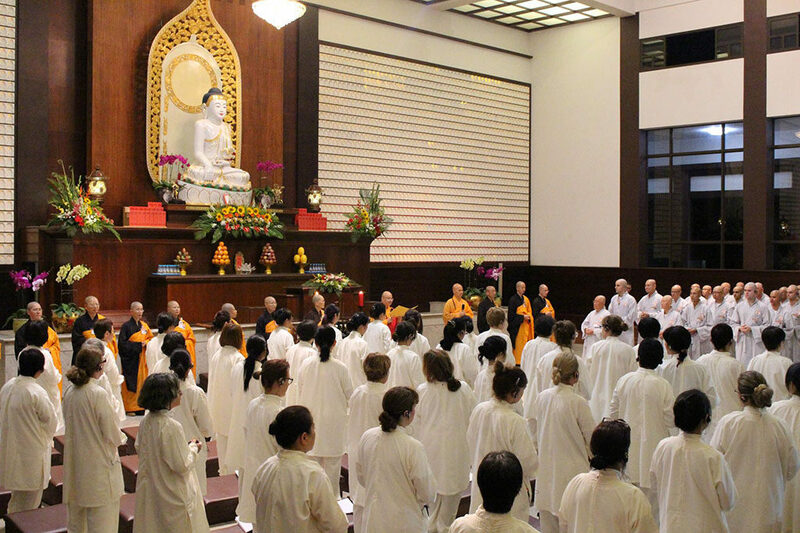 Here, there are many Catholic and Protestant people; however, there is complete liberty of religious cult. Everyone shares the same environments and live in harmony, an example of life in society. There is also the possibility of attending masses in other languages. Check with the establishment before you head to the place. “I’m not driven, I drive”. This is São Paulo’s motto, stamped in our shield. And it is absolutely related to the capital’s lifestyle! 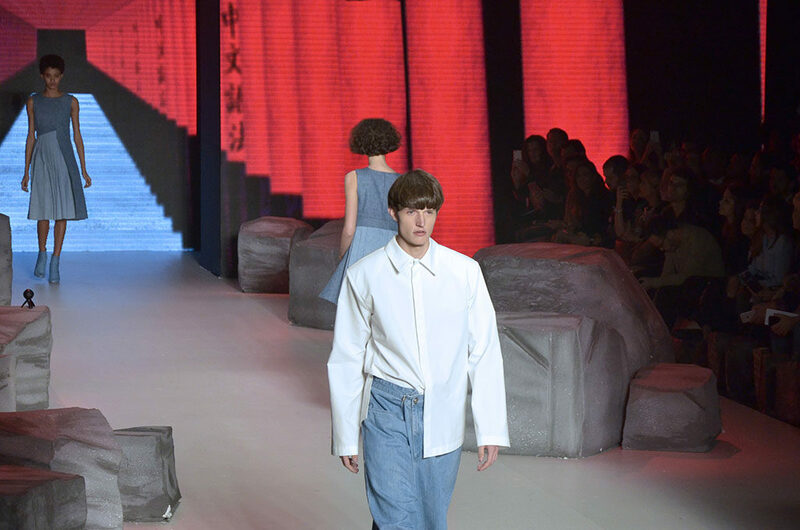 São Paulo is modern, creative and a trend maker. 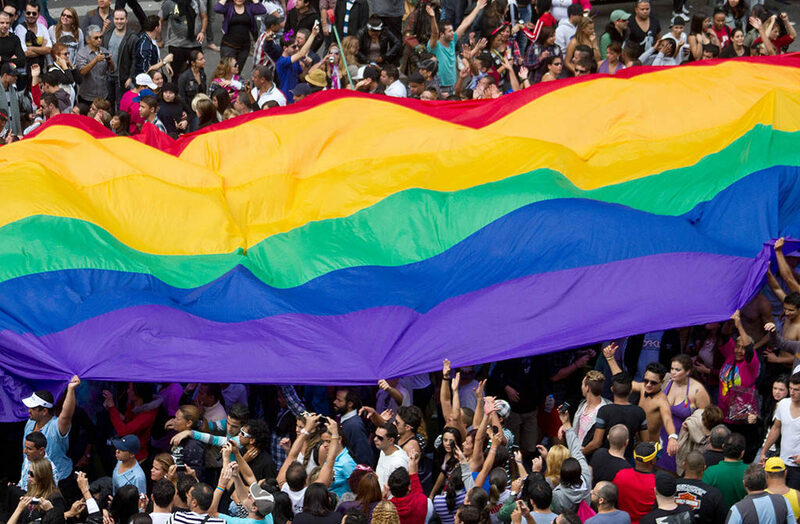 Only a tuned in city like ours can host manifestations of style, like São Paulo Fashion Week, Casa Cor and the Gay Pride Parade LGBT. São Paulo is cosmopolitan, open-minded and hosts respectfully every tribe! Traditional, confortable, neat, hippie… It doesn’t matter… From Oscar Freire to Brás, feel free to build your own style. São Paulo Fashion Week Foto: Jose Cordeiro/SPTuris. Casa Cor. Foto: Caio Pimenta/SPTuris. Brazil relates diplomatically to all members of the United Nations. However, due to variety of bilateral agreements, the Brazilian government demands an entrance visa for some specific nationalities. The worldwide Visa Regimes for Foreigns in Brazil requirements specifies who needs and who is granted a visa to enter Brazil. These requirements are available in here. In case you are required to have a visa, get in contact with the Brazilian consulate where the visa will be requested to obtain information about documentation and procedures for the concessions of permission for entrance on the country. Now, the foreign consulates in Brazil are responsible, mainly, for the assistance of citizens from their origin countries that are in Brazilian territory. They mission is to protect citizens in their grounds, respecting the international running treaties and the local legislation of the country. Several nations have a consulate in São Paulo. In order to know which countries have representatives in the city, consult the addresses and contacts at this portal. Check out also the Ministery of Foreign Relations website. Central 156 is the telephone number with information about all City Hall services. It also provides touristic information with bilingual operators. It works daily, 24 hours per day. Accessibility – Many areas in the city are adapted to people with special needs. Learn more. It looks for hotels, restaurants and attractions in the user’s selected region, comparing prices. Through this device of geographic localization, museums, touristic and historic sights, lodging, food and stores are available. This app lists establishments of accommodation, food and cultural and touristic attractions for disabled people, with visual deficiencies, hearing imparity, physically disability and those with reduced mobility. The apps help the user to find good restaurants and bars in the city. It shows several cultural, leisure and well-being activities for free or at a low cost. 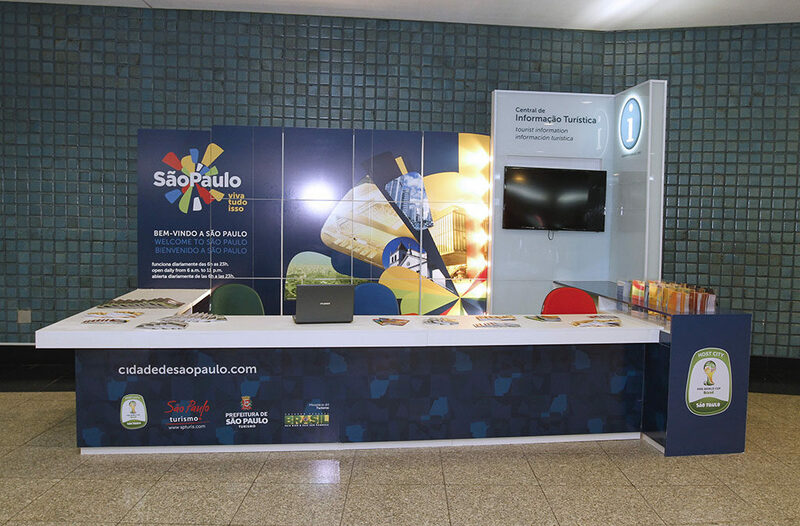 It allows the user to consult times of arrival and departure of flights of 50 Brazilian airports. Apps that seek the nearest taxi stops, providing addresses and telephones to users. It shows routes, makes bus times available and informs the location of vehicles, delays and even overcrowdings. In all metropolitan transportation companies it is possible to learn the status of the subway and train lines live. 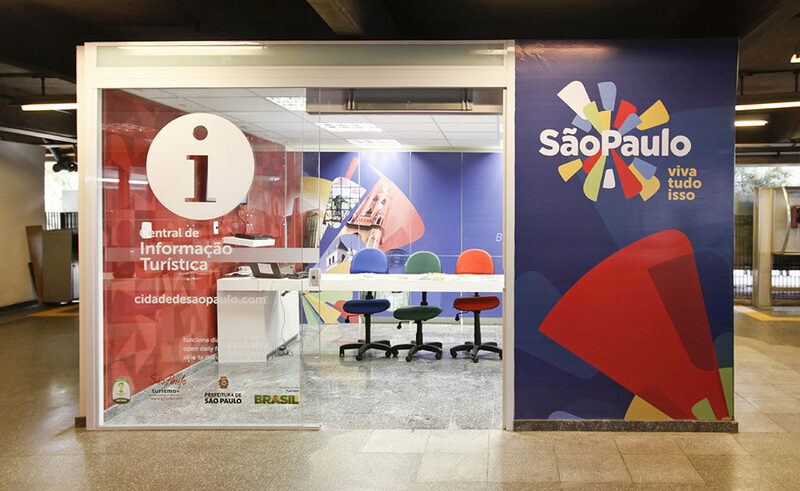 Through these apps, users of the bicycle renting system BikeSampa and CicloSampa may use its services besides consulting information and availability. It facilitates the communication in 90 languages, including words or dictionary expressions. Daily Currency convertor for dollar and currencies from 80 countries. Find immediately free WiFi spots near your location. Updated daily, it also works offline. Domestic: dial zero + number of the operator + city’s code before the telephone number. International: dial zero + number of the operator + country’s code + city’s code before the telephone number. This is valid for either calling from a landline or a mobile phone. In public pay phones, calling cards are sold in many commercial establishments. 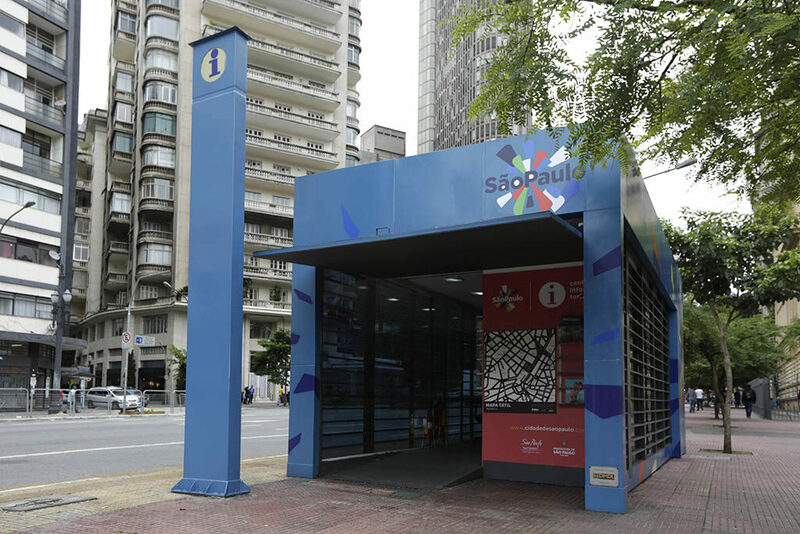 São Paulo’s code is 11. In order to call from a landline to cities in the surroundings of São Paulo, which also have the same code 11, it is necessary to dial the operator’s number before. Working hours are, usually, from Monday to Friday from 9am to 6pm. Banks provide services from 10am to 4pm and do not operate on weekends. 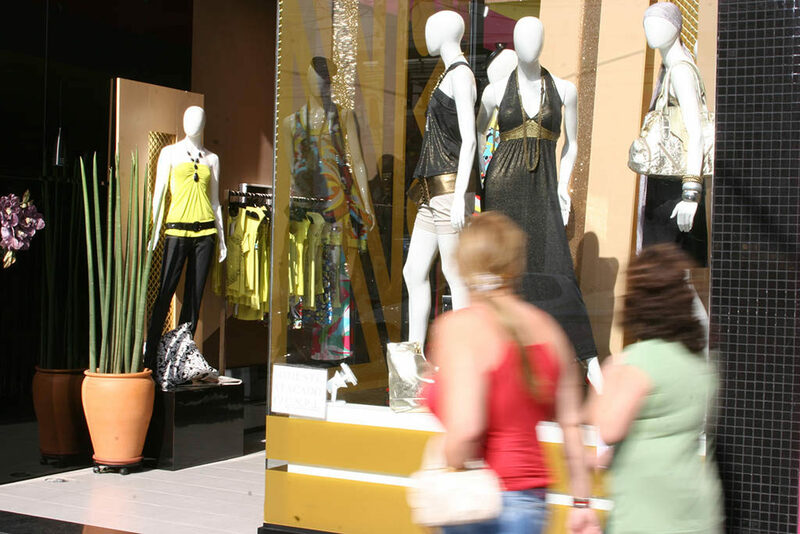 Malls operate from 10am to 10pm from Monday to Saturday and from 2pm to 8pm on Sundays and holidays. Bars and restaurants have flexible times. Besides lunch and dinner, some stay open all night hours, even during weekdays. Some places provide 24-hour public service, such as: hospitals, pharmacies and drugstores, veterinarians, dentists, newspaper stands, flower stores, supermarkets, coffee shops and cafes, and convenience stores. Ask around on the region that you are staying. São Paulo follows Brasília’s time zone (UTC -3). The city has Daylight Saving Time between October and February, when the clocks are set in advance in 1 hour (UTC -2). UTC stands for Universal Time Coordinated. It is a measurement of time based in atomic patterns and it tells about the reference time in other time zones in the world. 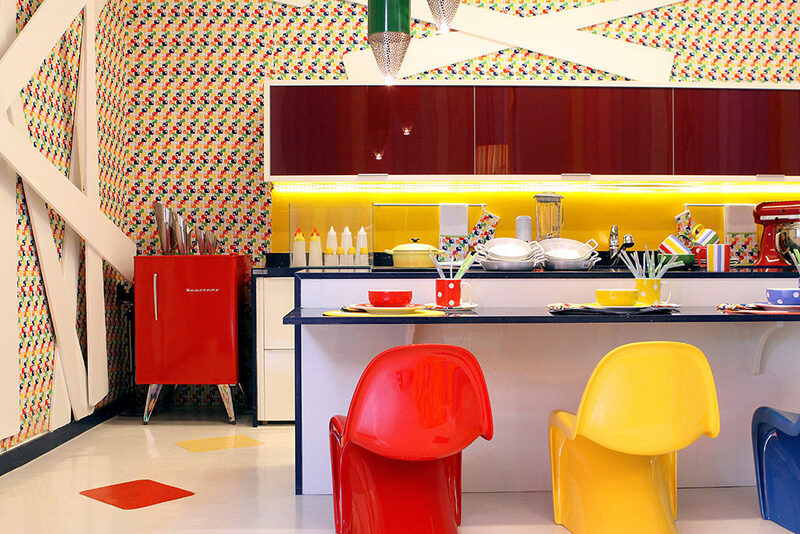 Check our Event Calendar to enjoy even more your stay around São Paulo! The official voltage of the city is 110 volts and 60 Hz. However, on the main hotels of the city, there are also 220 volts power sockets, properly labeled. 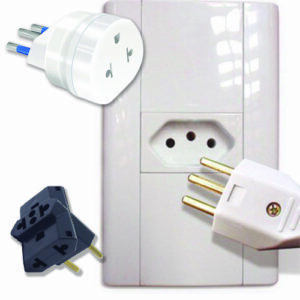 You can find adaptors in supermarkets, office material stores or construction stores. Just like any other visitor in São Paulo, your pet is very welcome! For these illustrious ‘tourists’, the capital offers several options of rides, food and even exclusive accommodation. As you make your reservation, don’t forget to mention that you will bring your pet, because not all places accept animals. The most receptive transportation means to animals are cars and airplanes. In order to bring dogs and cats, there are rules imposed by the airline companies. It is advised that you inform yourself ahead of time about norms and regulations related to dimensions and kinds of transportation cases, sanitary permits and vaccination proof. Consult Infraero or the hired company about the policy regarding traveling with animals. It is forbidden the commercialization and the transportation of wild animals in National grounds for abroad. Brazilian legislation predicts jail sentences to the ones involved in such activities. In the city of São Paulo it is only permitted to smoke inside homes or collective open areas; however, several bars and restaurants have outdoor areas so that smokers can be more comfortable. At the moment of reservation, ask the hotel if there is any recommended place for smokers. We reinforce that it is forbidden to smoke inside taxis and buses, besides indoor public places. Get to know the legislation related. Divisão Policial de Portos, Aeroportos, Atendimento ao Turista e Proteção a Dignitários: Rua São Bento, 380 – 5th floor – Downtown – Phone: (+55 11) 3107 5642 or (+55 11) 3107 8332. 1º Delegacia Especializada de Polícia de Atendimento ao Turista/DEATUR: Rua da Cantareira, 390 – Downtown – Phone: (+55 11) 3120 4417. – Parque Anhembi – Pavilhão de Exposições do Anhembi: (+55 11) 2226 0664. – Congonhas Airport: (+55 11) 5090 9032. – Guarulhos Airport: (+55 11) 2445 2686. Avenida Washington Luis, s/nº – Phone: (+55 11) 5090 9032, (+55 11) 5090 9043 or (+55 11) 5090 9041. Rua Dr. João Jamil Zarift, s/nº – Cumbica/Guarulhos – Phone: (+55 11) 2611 2686. Phone: (+55 19) 3225 9854, (+55 19) 3225 5426 or (+55 19) 3725 5412. As soon as you land, make sure that your luggage is sealed exactly as it was on boarding. In order to request information or help, seek for a police officer or an employee of the traveling company. Do not be careless with your belongings at any time. Be careful with strangers that approach you with questions; this actions may be a distraction. Talk without taking your eyes off your luggage. Do not open your luggage in public, mainly if inside there are electronic devices and money, and do not handle large amounts of money in public. Do not accept any kind of package in request of unknown people. As you use taxi services or rental cars, seek professional and registered companies. As you enter the vehicle, request that your belongings are put on the trunk. In case the driver says no, seek another taxi. As you use the mobile phone inside the taxi, make it in a way that the device is not close to the window. As you check-in or check-out, look to leave your luggage with an employee or put it in between you and the reception counter. When you want to leave, ask for information for the hotel employees. They will help with information about certified transportation and good suggestions of rides and restaurants, well located and safe. Also, check the local reception. Use the safe at your disposal in your room and avoid talking about important matters near strange people, mainly about money. Prefer places recommended by people you know of by hotel professionals where you are staying. Get informed about the best route, the best time for a meal, what kind of service that the restaurant offers; and also consult the local reception. Avoid leaving objects of value over the table, like wallets and mobile phones, especially if you are temporarily absent. Use video cameras, photographic cameras and jewelry in a discreet manner. When going to an ATM, try to do it during the day and inside banks and commercial establishments. If you need to exchange your currency, look for a licensed exchange office. If you lose your documents, look for the nearest Deatur (Tourism Police Station) or a regular police station. Make a police report, listing the objects lost or stolen. Foreigners must seek consulate services of their countries in order to obtain a new passport. If losing paychecks, travellers checks and credit cards, tell immediately the administrator. Now that you have carefully planned your trip, it is time to take precautions so that any shortcomings may not outshine your stay. Whatever may be the reasons for your trip, traveling insurance may be useful in case of troubles with transportation, luggage, loss of documents and problems with flights and accommodations. There are also insurances that cover any medical expenses you may have in your trip. The prices vary according to the plan, profile and risks associated to the trip. In order to make it easier, some tourism operator and receptive agencies already comprise insurance within their plans; however, there are also other options with companies specialized in this kind of insurance plan. In fact, some credit cards offer assistance services in your trip. Get informed about the difference between your insurance and the assistance provided and check also its details. The Post Office delivers National and International packages; the prices charges are according to the package and its final destination. For more information, consult here. Would you like to surprise someone the old-fashioned way? Send a nice postal card of the city of São Paulo to those you care about. Learn more at Correios! São Paulo is also on the vanguard of the services for those who seek weel-being, health or more quality of life. The city is an international reference in important areas of Medicine that range from the treatment of heart conditions to plastic surgeries; besides having the latest generation equipment, modern Hospital Complexes and professionals worldly renowned. Is it to have a check-up, treatment or to improve your self-esteem; each time more people come to the capital paulista to have their health at full strength and look better. Have you noticed? Besides being an amazing metropolis, São Paulo does you good! Any person in an urgent and emergency situation in Brazilian territory has the right to free services at the units of Sistema Único de Saúde (SUS). 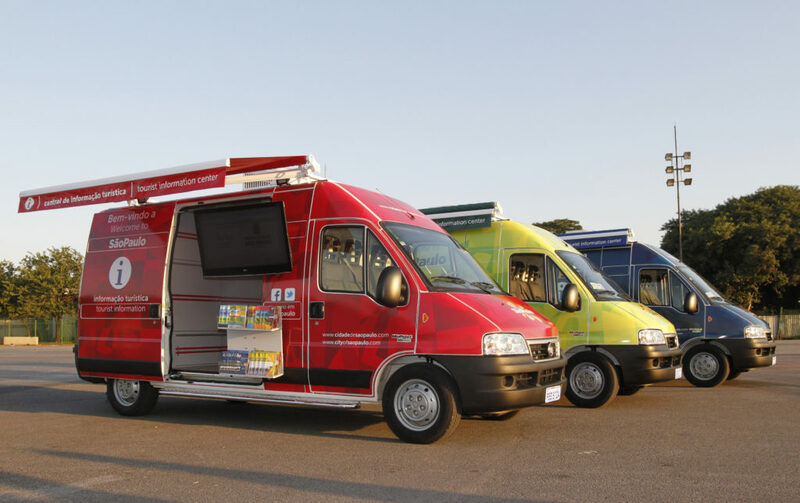 The SAMU (ambulance service) operates 24 hours per day on the phone 192 (call free of charge). To find the reference hospitals in the city, access here. Unlike our neighbor countries, colonized by Spaniards, Brazilian official language is Portuguese – a language spoken by over 250 million people all over the world. Where is the restroom? Onde é o banheiro? Where is the nearest hospital? Onde fica o hospital mais próximo? Do you accept credit card? Aceita cartão de crédito? São Paulo is indeed the capital of diversity. That includes the weather. Every single season of the year can be experienced in just one day. The city may awake sunny and cloudless and end up with heavy rain. These days are more common during summer, when rain usually falls at the end of the afternoon, relieving the heat. At autumn, the temperature is mild, about 23ºC. The winter usually has sunny and dry days, with temperatures rarely dropping below 15º C. At spring, days are very warm and dry. The climate is high-altitude tropical, characterized by summer rains and the annual average temperature ranges from 19º C to 27º C. Due to the city’s dimension and its geography full of reliefs, there may be variations between one neighborhood and the other. The tip is: have always on your bag a tank top, a coat and an umbrella! Besides something colorful to celebrate spring in some of our beautiful parks. Do you miss food from back home? You can taste all kinds of food, from the whole world, without leaving São Paulo: there are several delicacies from Japanese, German, Portuguese, Spanish, French, Italian, Arab, Mexican, Chinese, American, Greek, Australian, Judaic, Tai, Indian, Argentinian, Peruvian, Swiss culinary… My oh my! And if you are a great fan of the Brazilian kitchen, you will find without any difficulty nordestinos, mineiros, capixabas, paranaenses dishes… Revisiting your origins in just one place has never been so easy and tasteful. 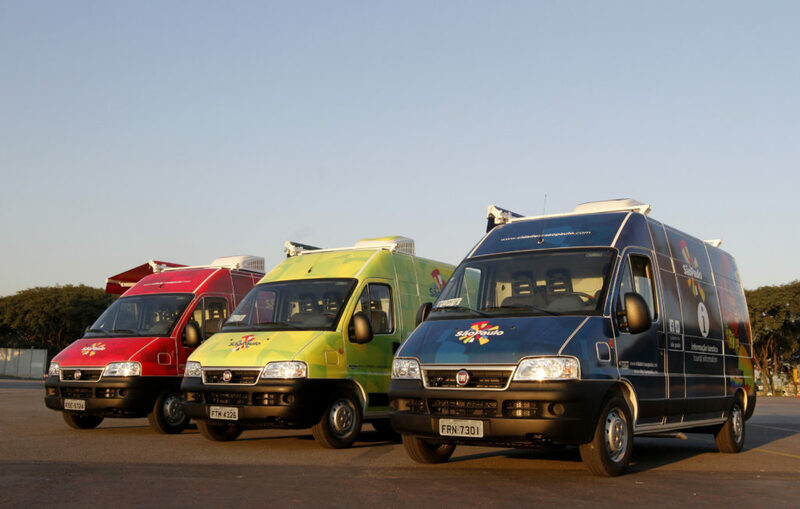 From elegant restaurants to street food – also known as food trucks –, São Paulo gathers what is best in high and low gastronomy. The city offers as well a creative contemporary kitchen, constantly renewed by rewarded and international influent chefs. At summer, the Mexican paleterias are the sensation, as well as the charming teahouses on the colder days. 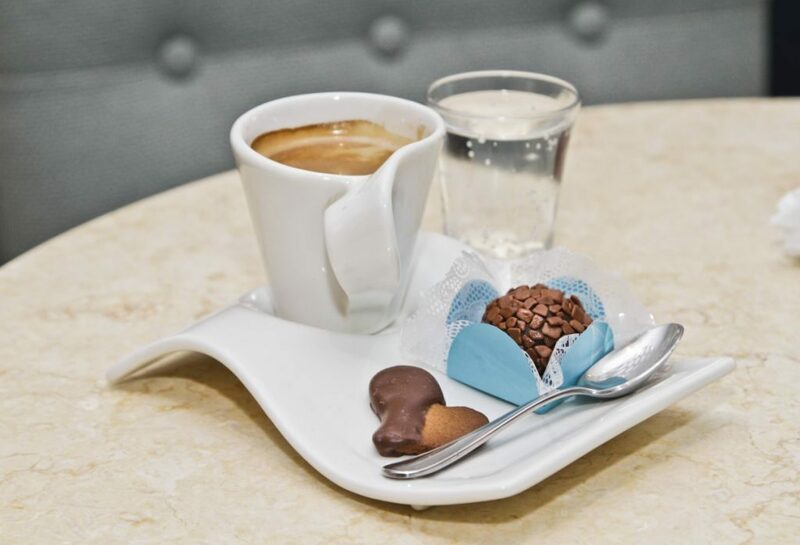 And at anytime of the year, our charming cafes are perfect environments to read a nice book, chat, have a snack or simply enjoy a nice coffee. And if you’re hungry for knowledge as well, here in São Paulo you can find kitchen courses that do not disappoint a bit compared to the best ones in Paris. So don´t be shy and indulge in the city´s food spots. To burn the calories earned at your gastronomic adventures, work out in one of the city’s beautiful parks! Not only a delicious drink, coffee is also culture: get to know our Thematic Tour “The Coffee and the History of the City”. Would you like updated and complete information about the events that happen in the city? Learn what are the coolest attractions to visit? Ask about infrastructure, services and access? 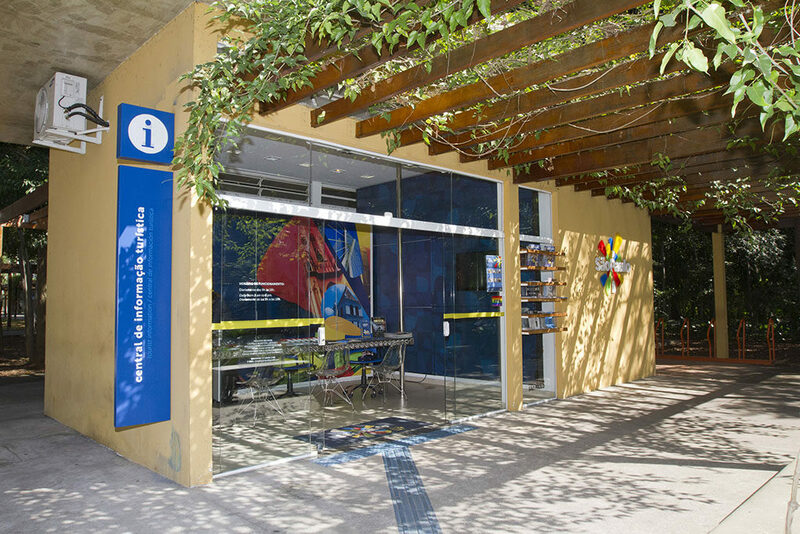 The Tourist Information Offices, tenderly called CITs, await for you with a fully trained and tuned in staff to inform the cultural offer of the city; providing a personalized service and specialized in what’s best to enjoy in São Paulo. Besides this, on the CITs you can also find touristic, cultural, shopping guides, besides flyers of places to visit and maps of the city and metropolitan transportation. 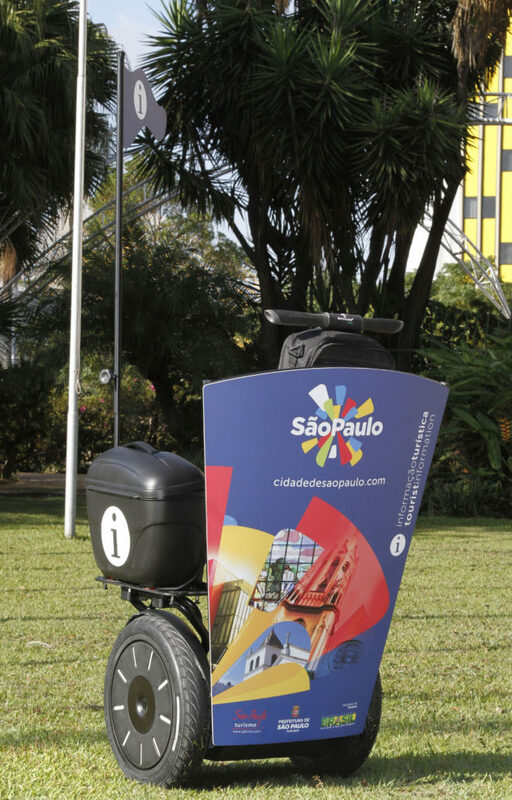 In large and local events with lots of demand for information about the city, it is possible to find itinerant Tourist Information, with a complete reception structure to the visitor, with attendants that go around in segways to amplify the reach of information. CITs Móveis (Vans). Foto: Jose Cordeiro/SPTuris. CIT Móvel (Segway). Foto: Jose Cordeiro/SPTuris. Check out some tips to enjoy São Paulo in a sustainable way! Try not to bring from home anything that you may find here. The number of items in your luggage increases the impact of your trip by the gas carbonic emissions and the waste that you generate. Be careful with batteries and light bulbs. These objects contain toxic material that contaminates the water and the soil when they are wasted in an inadequate way. You can always make more responsible choices and adapt in relation to the transportation means you will use. Public and collective transportation reduce pollution and avoid more vehicles in the streets. São Paulo offers many kilometers of cycling lanes. How about going around the town in a healthy and non polluting way? Learn more! Help in the awareness of other visitors, transmitting the principles of making the least environmental impact whenever there is the chance! Check out other ways of making your trip sustainable in here.